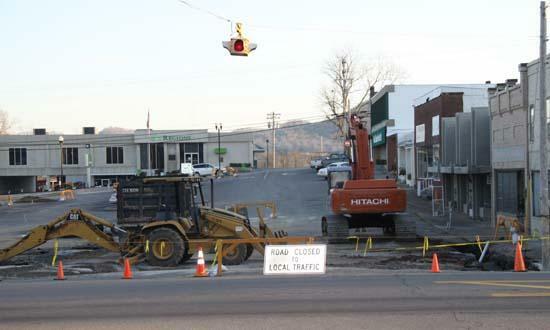 Officials overseeing the revitalization of the area surrounding the Cannon County Courthouse report that North Cannon St. will remain closed the remainder of this week to thru traffic. The Main St. entrance to North Cannon has been closed since last week. Persons wishing to go to the courthouse or businesses on North Cannon are still able to enter the road halfway from the W. Water St. entrance. Work to improve the drainage on the southeast side of the courthouse is expected to be complete by week's end, official say.